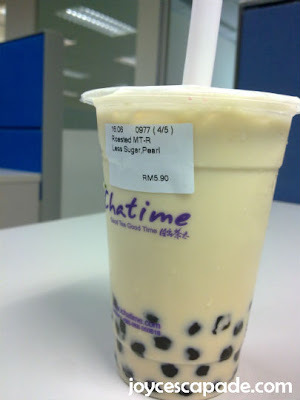 Treat of the day: Roasted Milk Tea with pearls, less sugar from Chatime. w00ts!! !